Kareem Slater has been involved in real estate management since 1998. In January of 2013 Kareem decided to leave his role as Vice President of Property Management for a mid-size national developer and focus full-time on his company, The Purple Approach. He is a Certified Property Manager(CPM) through the Institute of Real Estate Management. In 2010 he was a part of the inaugural graduating class for the Urban Land Institute Atlanta Center for Leadership. He holds numerous other property management designations and accomplishments. 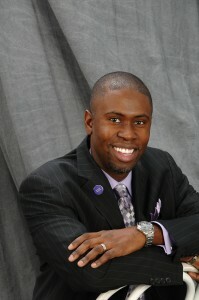 Kareem founded The Purple Approach in 2010. Kareem has a passion to share what he has learned as a leader of teams. He believes as a leader your primary objective is to set a vision before a strong group of creative, smart, and capable team members and cheer them on as they identify and solve problems. The key is that every team member must fully understand that central mission and how their particular role is vital to its success. If you have highly engaged team members you will have a highly engaged organization. Engaged organizations are successful organizations. A career in people management has been a perfect fit for Kareem’s personality as he has a passion to help people reach their full potential and be successful. As a natural leader, He has a proven track record for creating and implementing processes to further advance organizations in efficiency and productivity while building a team to carry out those processes. It is his personal philosophy that a project’s success is ultimately a direct result of full team coordination and focus on a central mission. It is his belief that having a team invested in that central mission will allow an organization to achieve great success. Kareem’s experiences have taught him that investing in people is the best investment choice and it will yield the most results every time. The Purple Approach was created to help organizations build a Mission Statement and Set of Core Values that represent what an organization’s purpose and culture will be. It was created to give Kareem a platform to help individuals enhance their leadership skills to become better leaders in the industry.